The line between deliberately manipulating a story and poorly reporting the facts is perilously thin. At Sunday’s Oscars, the United States’ ‘paper of record’ launched an advertising blitz positioning itself as the highbrow ethical responder to the spate of so-called ‘fake news.’ “The truth is hard…to find…to know,” the New York Times add, widely circulated on YouTube, proclaimed, somberly. It’s a powerful message, one that the public and the media should reflect upon—including the leadership at the Times itself. Whether a journalist presents a story in good faith but wrongly can be a matter of healthy debate. But increasingly, a more troubling ethical line is being crossed: some writers choose to arrange facts, or even invent them, in ways that erase nuances to advance a storyline arrived at before independent reporting even commences. That leaves editors as the public’s last bastion of integrity. But to fulfill their responsibility, editors need to be aware of their own biases, or they risk crossing over from being guardians of the truth to creators of biased or even fake news. 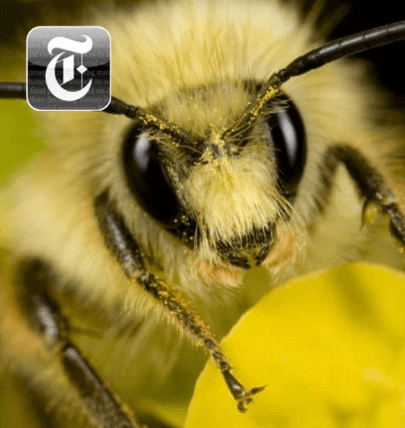 Which brings us to the New York Times’ coverage of food and farming issues, most recently its reporting of what has come to be known in recent years as “beemageddon”— concerns that one of nature’s most important pollinators, the bee, faces a precarious future. Are bees facing extinction as many environmental advocacy groups and some scientists claim? 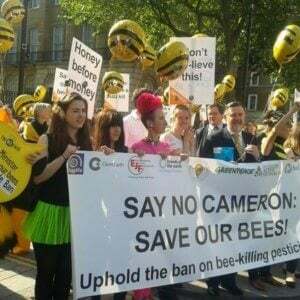 Are neonicotinoid pesticides the key reason behind their health problems, as many activists, and the Times, suggest? The media has really been on our side for the most part. I know this from writing for the New York Times…. [W]hen I wrote about food I never had to give equal time to the other side. I could say whatever I thought and offer my own conclusions. Say you should buy grass fed beef and organic is better, and these editors in New York didn’t realize there is anyone who disagrees with that point of view. So, I felt like I got a free ride for a long time. There is something called the Food Dialogues presented in various places to talk about how food is produced and greater transparency. … So, I think they have kind of spooked the newspapers into realizing they need to give equal time on this issue and it is an issue with two sides. Two recent Times articles on the swirling farm controversy about bee health and food—one two years ago and another in February—raise serious questions about whether the paper’s editors wear ideological blinders on stories involving ‘villainous’ agri-businesses. In 1994, the Times wrote an editorial about “The Bee Crisis,” in which it noted an alarming 50% crash in the numbers of feral bees in New York state. It blamed that fall-off primarily on pesticides. The next year, the phase out began of the most common pesticides—pyrethroids and organophosphates—used to protect crops pollinated by bees. While effective, these chemicals were known to kill beneficial insects and pose serious human health hazards. They were replaced by what, then and now, were considered by most entomologists to be a far safer alternative—neonicotinoids, a class of insecticides whose introduction in the mid-1990s coincided with a stabilization of the global bee population. 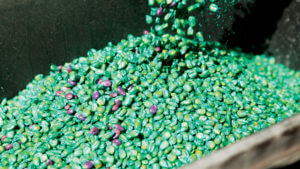 While sometimes sprayed as part of particular fruit, vegetable or landscape applications, neonics are most overwhelmingly applied as a coating for seeds, which then grow into plants that systemically fight pests. The bee health and pesticide issue faded from the headlines until the winter of 2006-2007, when some US beekeepers began discovering that many of their bees had mysteriously abandoned their colonies. The bees left behind the queen bee, attended by too few, immature worker bees to sustain the colony, yet with ample viable brood and stored food. This was dubbed Colony Collapse Disorder (CCD). CCD is a periodic but still mysterious ecological phenomenon that’s been around since at least the 1800s, predating the modern, post-World War II use of synthetic pesticides, says University of Maryland entomologist Dennis vanEngelsdorp, who along with agriculture department researcher Jeff Pettis coined the term a decade ago. vanEngelsdorp, now head of the Bee Informed Partnership, has told me and other reporters, repeatedly, that there have been no instances of CCD over the past five years, except cases linked to the Nosema fungus. Times’ Michael Wines misframes the ‘neonic’ crisis? But you wouldn’t know that if you depend on the Times as your paper of record. Since 2013, Michael Wines has reported on rising concerns about ongoing bee health issues in increasingly alarming opinion-filled stories. His theme, hammered home in numerous reports, such as this article in 2015, fingered one culprit above all others: pesticides, particularly neonics. In what amounted to an editorial, Wines headlined the story: “Research Suggests Pesticide Is Alluring and Harmful to Bees.” His sources beyond two highly contested studies?–unidentified “other experts,” whose views stood in contrast to industry scientists and the overwhelming majority of mainstream entomologists, who see the issue as complex, with pesticides playing a real but relatively minor role in bee health issues. Wines focused again on neonics-as-primary culprit in 2015 after a temporary increase in over summer honey bee deaths. In this story, he incorrectly wrote that the summer time bee deaths were an extension of the long-since passed CCD phenomenon. He compounded this misreporting by playing up what has become known as the beepocalypse myth thesis, writing (in Wines-like fashion) that “some experts have focused on neonicotinoids” as the driving culprit. So, who were these mysterious “experts” that Wines claimed pointed to neonics as the Darth Vader of the bee world? Wines again never told us. That’s particularly odd, because he could have consulted the primary source for the rest of his story, Dennis vanEngelsdorp. Varroa mites that feed on the insects bodily fluids. 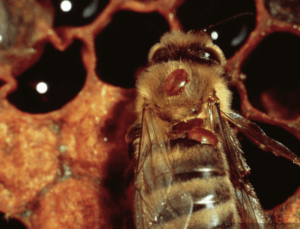 Varroa mites first surfaced as a problem in the US in the 1980s and began infesting beehives in California in 1993. 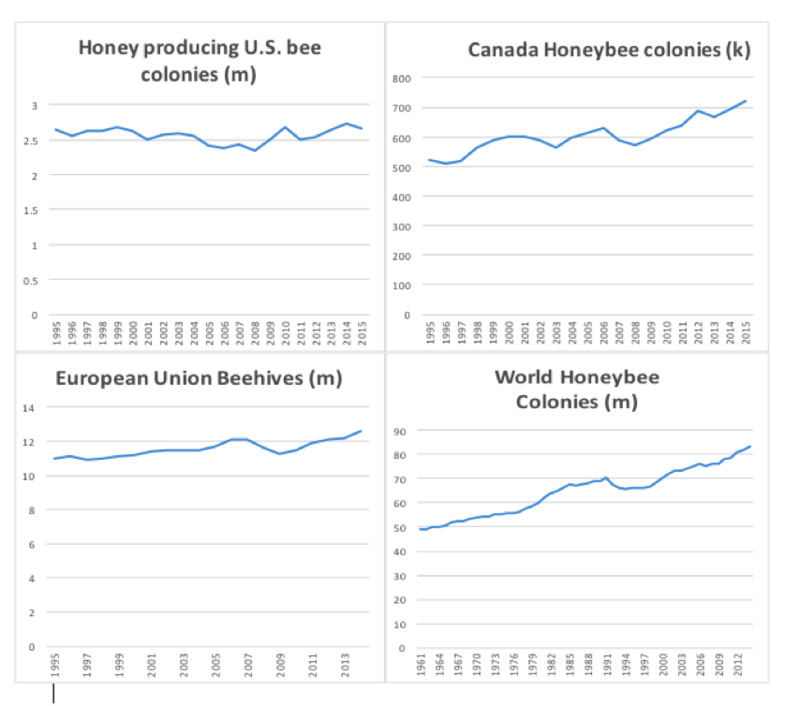 That crisis stabilized after the introduction of neonics later in the 1990s, then spiked with CCD, and there have been sporadic problems since. 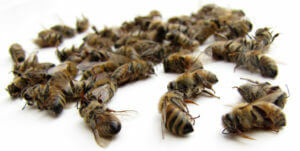 On average, about 10 to 15 percent of honey bees die each winter. In recent years, that percentage jumped to as high as 35 percent before dropping down to levels in the low 20s. There has also been a recent rise in bee deaths during the summer, normally a period of hive replenishment, that has everyone spooked. 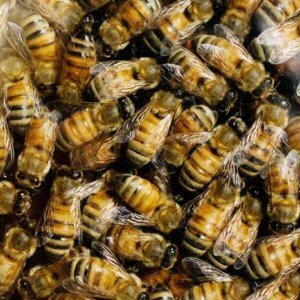 Highly charged words like “beepocalypse” or “beemageddon” are now everywhere on the Internet. But what has been causing the die-offs? Like the fictional parents in the edgy comedy show South Park who blame Canada for all their woes, activists often coalesce around an issue and then come up with a simple, and often simplistic, narrative to frame it. Strident opponents of modern agricultural technology initially blamed GMOs for bee deaths, and some still make that claim, although there is zero evidence to back it up. When that meme didn’t gain traction, the campaign focus switched to neonics. But mainstream entomologists never saw it that way. Noting the complexity of the problem, the US Department of Agriculture and the Environmental Protection Agency took a cautious, science-based approach in producing a broad-based assessment of the evidence. The independent researchers concluded that bees are facing unique stressors but neonics, and pesticides in general, were unlikely to be the major cause. 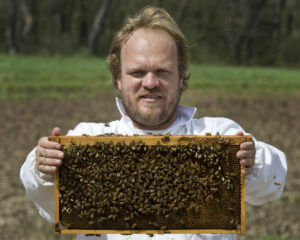 Along with Varroa, the blue ribbon panel pointed to Nosema, a common parasite that invades their intestinal tracts and the use and perhaps misuse of miticides to control them; climate change; lack of genetic diversity in the bee population; loss of habitat; and an often-unmentioned factor that many entomologists believe may be the key factor—the stress put on bees by large commercial beekeepers, particularly to service the agri-business demand for bees needed for the California almond crop in late winter before bees normally repopulate. Times’ Stephanie Strom: Bee health perpetrator profiled as victim? While Wines never named the “some experts” who support the claim that neonics are at the center of the bee health issue, fellow Times reporter Stephanie Strom found two with that view. Her front business page story, “A Bee Mogul Confronts the Crisis in His Field,” on February 19, sympathetically profiled two of the country’s largest industrial bee moguls, Bret and Kelvin Adee. As in Wines’ story, Strom’s article showed no signs of conscious bias. I’ve been a fan of both of their journalism. I know Strom, who I’ve talked to on multiple occasions, is dedicated to reporting on complex issues fairly. But she botched this story. Most notably, the piece is infused with the popular activist-driven belief, rejected as simplistic by top entomologists, that neonics is the common thread linking the 2006-2007 CCD crisis to current bee health issues. The more you study it, the more obvious it becomes: the relationship between the pesticides that have been sprayed everywhere over the last 10 years and what’s happening to bees. Strom doesn’t mention that the ban was passed over the objections of many scientists. 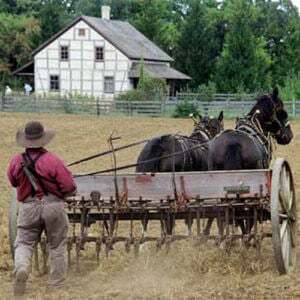 It’s led to new costs and pest pressures; a sharp increase in the use of the dangerous chemicals, pyrethroids and organophosphates, phased out years ago; and lower farm yields. She neglects to mention that European courts have challenged the science behind the ban, and moves are underway to overturn it. So, here is the Orwellian twist: Large-scale beekeepers like the Adees, who see their pollinator hordes as traveling livestock and are widely viewed by entomologists as a key driver of bee health problems, are now profiled by the New York Times as a credible source for diagnosing bee health—and as victims? Strom sees no irony in this. And she apparently does not know enough about how pesticides are used to pick up on the fact that Adee’s own comments undermine the contention that spraying neonics is at the root of bee health problems. The vast majority of neonics, by volume, are applied as seed treatments—not sprayed—and can only come into contact with bees through dust drift (an initially unanticipated complication now being increasingly effectively controlled) and residues in plant nectar and pollen, which have been consistently shown (and recently confirmed by EPA) to be well below thresholds that could harm bees all of the large-scale grain crops. Are bees facing a neonic-caused global health crisis? Strom and the Times also never mention that her “crisis in the California fields” thesis has reversed itself, at least for this winter. The Adees are having a pretty good year—bee deaths are down dramatically from the winter before, they told her. That inconvenient fact is all but missing from the story, and is not reflected in the ‘crisis’ headline. 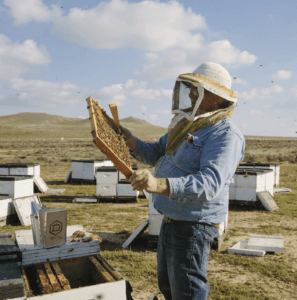 More than likely, Strom and the Times had formulated their narrative—bees and beekeepers in California almond fields are in dire straits—and then did not adjust when the facts on the ground contradicted it. 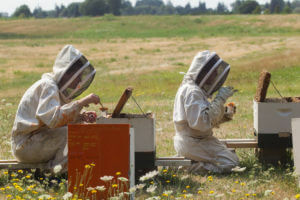 There are other strange turns in the Strom account that emanate from her central thesis that bees and beekeepers are in the midst of an escalating catastrophic crisis, with neonics at its center. Bee health is a serious issue. Everyone is perplexed about a mysterious jump in summer bee deaths. Wild bees are also being monitored, but there is no way to monitor their overall health and there are no clear signs of a crisis. Neonics and pesticides in general rank near the bottom of the list as potential challenges facing bees, according to vanEngelsdorp, Pettis, University of Illinois entomologist Mae Berenbaum and other top scientists. 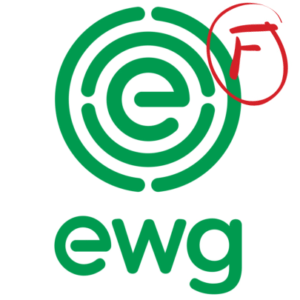 In one of many such surveys, the USDA-funded New York Bee Wellness non-profit polled its members last fall as to what they saw as causing bee health problems. Varroa mite was the major culprit, with 42.6%. That was followed by small hive beetles (26.8%); queen failure (24.9%); wax moth (19.2%); and deformed wing virus (6.9%). Pesticides? Less than 1% (0.6% to be exact). Their conclusions are underscored by more than 20 field analyses and studies of neonic usage, recently posted on the Genetic Literacy Project, which as a whole find no evidence that neonics are a major bee health concern. What will The Times do? When it comes to corralling support for their campaigns, activist environmentalists often cast simple villains and frame issues in catastrophic terms. From Greenpeace’s mid-1990s effort to force Shell to deep six the Brent Spar North Sea oil platform to the efforts a decade ago by the Natural Resources Defense Council to replace harmless BPA in plastics with substitutes that are demonstrably harmful (BPS) to the ongoing but misplaced hysteria against DDT that the World Health Organization has said may have cost a billion lives, the ‘simple’ enemy-of-the-people target is sometimes benign, and its banning or removal often leads to worse consequences. The world’s top scientists cringe at the hyperbolic framing of environmental issues, particularly when it comes to food and farming. National Medal of Science and Goldman Environmental Prize-winning bee expert Mae Berenbaum has called scare claims about the demise of pollinators as unhelpful. “The rhetoric has gotten ridiculous. It is hyperbolic to talk about the apocalypse,” she said. Faced with a slew of missteps in its coverage of the “beeapocalypse”, the Times might well be served to reflect on its seemingly relentless neonics and bee crisis narrative. Next up for its editors: reporter Danny Hakim, who has faced sharp criticism from independent scientists for his reporting on the GMO debate, is taking on the bees and pesticides. The Times was unresponsive when scientists and science journalists challenged his prior reporting as biased (and in some cases factually inaccurate). Is the Times willing to devote the time and resources to report on nuanced stories outside of its traditional fields of expertise? That would require a level of oversight at the vetting stage and after an article is written but before publication—which now appears to be lacking, at least on the issue of pollinators and pesticides. Bees shouldn’t become the next ‘fake news’ victim. Jon Entine, executive director of the independent foundation funded 501c3 Science Literacy Project (Genetic Literacy Project and Epigenetics Literacy Project), has been writing on biotechnology, chemicals, food and farming for more than 15 years, and recently hosted a Reddit Science discussion on bees and pesticides.